Greenville Drive second baseman Yoan Moncada (pictured) has been named to the South Atlantic League All-Star Team as well as being selected as the league's Most Outstanding MLB Prospect, the league announced Tuesday. The honors were voted on by the league's managers, coaches, general managers, media relations directors and broadcasters. Moncada is the first Drive player ever to be named the league's Most Outstanding MLB Prospect and the fifth Drive player selected to the All-Star team. Moncada came into 2015 with sky-high expectations and, after an adjustment period, has delivered. The 20-year old Cuban signed as an international free agent in March for $31.5 million. The Red Sox took it slow at the beginning of the year with Moncada to give him time to adjust to a new country and shake off the rust of a long layoff. After struggling out of the gate for Greenville, Moncada took off after the All-Star break at the end of June. The switch-hitter batted just .200/.287/.289 during his first 101 plate appearances, but has hit .328/.432/.540 since, spanning 231 plate appearances. His overall batting line stands at .287/.388/.459 with eight home runs and a whopping 45 stolen bases in 48 attempts. There are seven games to go before the regular season ends, but Moncada is in great shape to become the first player since the franchise began its affiliation with the Red Sox in 2005 to swipe at least 45 bases while posting an OPS north of .840. 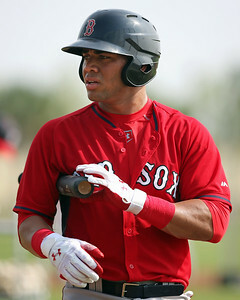 It was also announced yesterday that Moncada made the leap to the top spot of our rankings here at SoxProspects.com. After his signing, Moncada debuted in the number two spot of the rankings in April, where he has remained since in deference to Blake Swihart, Eduardo Rodriguez, and most recently, Rafael Devers. SoxProspects.com Director of Scouting Ian Cundall recently got to see Moncada in action and wrote about what he saw, including the defensive side of the ball, which is still a work in progress for Moncada. The Drive are in the heat of a playoff race, sitting half a game behind Asheville (COL) for a spot in the postseason.